rubicon4wheeler: Save Johnson Valley OHV Area from the Marines' Takeover! 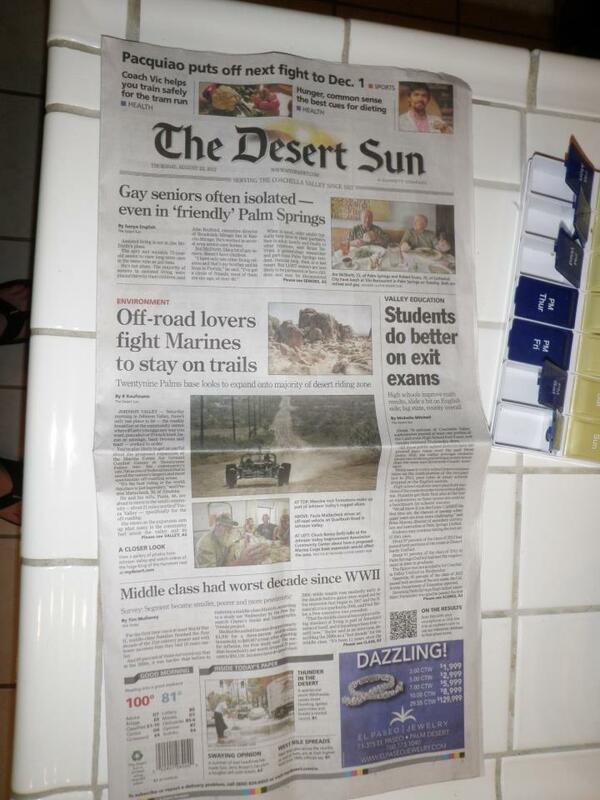 Save Johnson Valley OHV Area from the Marines' Takeover! The ongoing fight to save Johnson Valley from complete (or at the very least, a vast majority) takeover by the United States Marine Corps' 29 Palms is coming to an end, and it looks like the American Public is going to be locked out of yet another huge expanse of public lands. 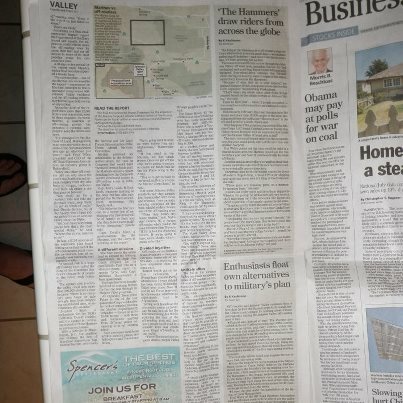 I've written about this treasured area numerous times, and just about everyone within the OHV community, the Marine Corps, the California Legislature, and the Pentagon is acutely aware of the impact this land closure will have on recreationists at (and residents in the area of) Johnson Valley. The King of the Hammers event alone brings tens of thousands of people (and fame) to Johnson Valley, but this bit of desert has been a valued bit of land since long before the Marines, the Bureau of Land Management, the State of California, and the United States of America ever assumed control. There is nowhere on Earth like Johnson Valley. Keep this American treasure open to the public! The Marines do not want to be seen as a 2nd Army...they would end up losing funding becuase congress and the like would be saying, "why do we need 2 land Armies?" The Marines have a "lane," a role... as middle weight force that reacts quickly and holds until the Army shows up. This is the role they want to get back to. The Commandant has made that VERY clear several times over. If 29 were to expand...it would be bigger than Irwin. Why would our middle weight force need MORE room than our Army to train? "But we see that’s probably what the world is going to look like for the next two decades. A lot more information there, but we think that’s going to be our backyard because this is primarily the littorals, because these are kind of the nasty missions and things that, quite honestly, don’t require 20,000 Marines on the ground. They may only require a Marine rifle company; they may require a training team to go in and help train border police of some of the nations that we want to help gird up and secure their borders." We don't expect major actions. The arc of instability is in the Asia region in the littorals. Thats where we will have problems. And do you think the American public can really stomach another drawn out land-war where we go back to using the Marines as a second army? You also have to remember that throughout most of the latter half of the 20th century, MEBs activated, deployed, and deactivated as needed. Standing MEBs were the exception rather than the rule. The Marine Corps experimented with permanent MEB headquarters from 1985 to 1992. When downsizing and budget reductions required force restructuring (same thing that is happening NOW! ), the Marine Corps eliminated the standing MEB HQs and discontinued use of the MEB as a distinct Marine Air-Ground Task Force. Bottomline: The expansion of 29 is based on an outdated training model from 2004-6 that does not take into account the new (actually OLD) focus of the Marines, the current political climate, and the current budget cutbacks. Don't get me wrong, I support our troops and have nothing but respect for them, (Don't take my disagreement with the Marine Corps as something anti-military) but this expansion is not needed. Johnson Valley is public land that should be preserved FOR the public, rather than FROM the public. The Marines have not demonstrated a need to annex this land, so it should remain open and unrestricted to the public!